As we can clearly see, the cabal has placed all of their pieces in position for their own version of the story. However, despite all of their efforts, the outcome rests within the hands of we the people, as well as with the positive Earth Alliance. In this episode, David Wilcock lined up a number of the final pieces to the puzzle of disclosure, detailing numerous revelations of imminent change within our financial system. We also have an announcement from NASA which—without exaggeration—comes right out of a science fiction movie. Among these disclosures, NASA unveils their new propulsion technology, and basically tells the world that they are on their way to look for life. So as far as the game of disclosure goes, the cards have been dealt, the ante is in, and it's time to play for keeps. The subject of the Western financial decline has been somewhat of a humorous subject for me to observe (though I don't consider financial hardship to be very funny). To be honest, finance has never really been much of a personal interest of mine (besides necessity), as it has primarily been revealed to be a scam designed for the purpose of controlling and amassing fictitious wealth and power by the cabal. The experiences which I had in high school economics were unforgettable, and it was these experiences which woke me up to the fact that somethings was wrong with the functioning of Western finance. I remember memorizing complex-sounding vocabulary words for hours until I could recite them forward and backward so that I could sound smart when I used them in class. However, I soon realized that as complex as these words sounded, they represented the most simple, most elementary principles which even a child could understand. (The complexity was revealed to be fictitious.) It was at that point that I began to see the fiction within finance. Despite the fictitious nature of our present, global game of monopoly, the issue of financial decline has had a significant impact upon the lives of countless people worldwide. After the revelations of the economic struggles leading up to the crash of 2008, the country, as well as the entire financial world began to view America not so much as the indestructible mainstay many had assumed it was, but as a country that was teetering on edge of economic decline. This was later proven true on multiple fronts. The years of 2008 and 2009 revealed the United States to be a country of economic thieves. As the world looked on, the savings accounts of countless American dwindled, the retirement accounts of the elderly shrank, and all the while the bankers were raking in hundreds of thousands in the dirty payouts of their own laundering schemes. After the brunt of this crash was shaken off, we learn of the LIBOR scheme involving multiple, major financial institutions, and that just as the U.S. was cheating it's own system, the entire financial world was robbing the planet blind. These financial crimes would soil the word “economy” in the minds of all of those who cared to pay attention to the fictitious game of Western money. It was also around this time when I decided to stop paying much attention. The year of 2015 would put a new tick mark on the wall, right next to the writing which told the entire Western world that the game was up. “That's right folks, cash your checks, pick up the box, and start putting the game pieces back in their baggies. This game is over.” I imagine the announcement would sound something like this if it were actually honest. However, instead of this candid honesty, we get more economic jargon. We get imaginary "fiscal cliffs", and "quantitative easings" to keep us 'ooing and 'ahhing at all of the big, complex-sounding words, but the truth behind the charade was pretty clear. We've most likely heard of the term “negative interest rates” before, but what does this means? Along with the two terms mentioned about, it reminds me of one of my old economic vocabulary words in its simplicity. What it actually means is that you have to pay to keep your money in the bank. In other words, instead of your money growing over time as many of us learned it should in school, it will shrink, and the longer you keep it in your account, the less you have. This is completely backwards in comparison the normal economic growth we in the West are accustomed to. It would be the implementation of negative interest rates which would be most telling as to the truth behind the game. This was that the Earth Alliance was yanking the carpet out from under the cabal's economic ponzi scheme and revealing it to be what it truly was. Here is an article from the Telegraph from April 28, 2015 on the subject. As David Wilcock put it, they're not hiding the fact that they are bankrupt. One thing about Western life is that people seem to be used to hearing what they want. We like hearing things that make us feel good. Even when the conditions we see make us sick to our stomach, as long as we have our information coated with a thin candy shell, it doesn't matter what's inside. It seems like an economic crash is no exception. However, in this case, this crash is not entirely a bad thing. (There is one additional article which Wilcock only mentions. However, I will include it for anyone who wants to read it. Either way, the tagline is fairly notable. As Wilcock points out, this crash is just what the system needs. Remember, this system is run by the cabal. It supports the cabal, and is designed to rob and exploit us--the citizens--as well as any country who is unfortunate enough to be on their list of “friends”. In order for this cabal to be taken out permanently, we need for their system to go down long enough to drag them down with it. At this point the people will be so fed up with the candy-coated garbage, admit to themselves that they've been lied to, and then demand to have the truth. As we know, at that point, our backup from the Earth Alliance will give us the entirety of the disclosure data-dump, and then we can wave goodbye to the once-influential cabal manipulators. The subject of the supposed “search” for off-world life is one which is a bit backward to those who frequent alternative media. This is because many of us already know the very strong likelihood that life is everywhere (and we aren't just talking microbes). One thing that has always confused me about conventional astronomy and astrobiology is the notion that spontaneous generation was so unlikely. This Darwinian concept blindly assumes that life was extremely rare, and only happened according to the principles of one belief system, and that whatever that belief system proposed was absolute and unquestionable, even though at the time, no one could observe such an occurrence (at least not in public view). To add to this Darwinian principle of spontaneous generation, we have the "wondrous" Drake equation which suggested that life within the universe was so scarce that we would be unable to find it even within many lifetimes. Even though no one could ever find any evidence to prove that the Drake equation was worth anything, the scientific bandwagon still took it for a ride. Then along comes NASA. Only this time, their script had completely changed. Drake is no longer the messiah of astrobiology, and Darwin was no longer the father of all Earthly creation. Now all of a sudden, life is portrayed as so abundant that astronomers are certain they will find it. We have covered other articles on the search for life in outer space, but very few make proposals with such certainty as this. Here is the BBC with the story (published on April 28). 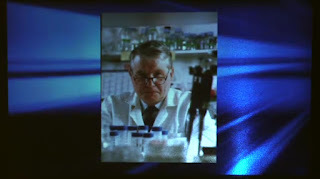 Chris McKay's quest for extraterrestrial life started in 1976, when Viking 1 and 2 landed on Mars. Touching down on Mars for the first time was a big deal, sure, but the then-first-year graduate student was especially excited because the landers found what appeared to be signs of Martian life. The spacecraft found that something in the dirt - possibly microbes - was taking in nutrients and producing gases like carbon dioxide. 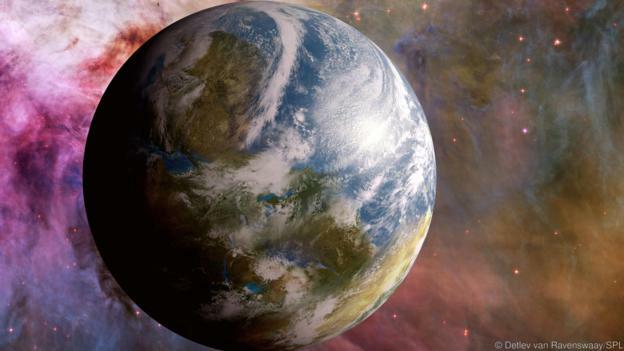 But when instruments failed to find any organic molecules, which are the building blocks of any organism, scientists concluded that no, aliens weren't living in the dirt. Microbes might, however, be able to eke out an existence below the surface. "I'd say it's 50/50 as to whether there's life on Mars right now," Kasting says. If there is, though, he says it's probably buried as deep as a kilometre underground, where temperatures are warm enough for water to be liquid. Getting there and finding proof, however, might require astronauts drilling on Mars. Does anyone remember when news stories like this were limited to alternative news sites and radio shows? It used to be so un-cool. Now NASA is all about the “aliens”, as they use the xenophobic pejorative. There are some claims an institution just shouldn't make, as specially when it comes to jumping to doubtful conclusions about the virtual infinity we have of outer space. If they ever do, people may want to refrain from jumping on their bandwagon. As in this case of NASA, they could suddenly flip and tell the truth. Then your credibility would tank. Of course we should remember that they still have not given the complete story. 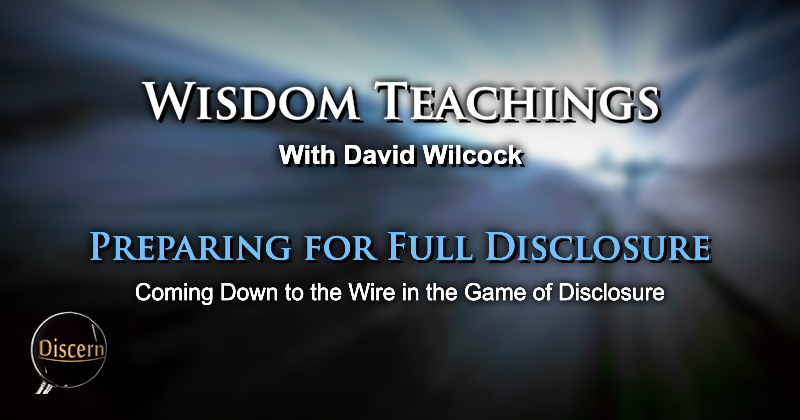 They have kept the testimonies of multiple, credible witnesses on the down-low, or as Wilcock puts it, they are keeping them on the ready because they don't know when they'll need to make their partial-disclosure announcement. 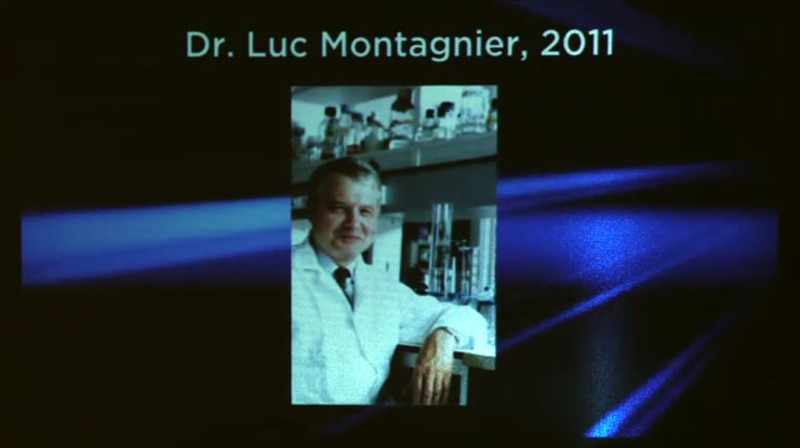 David Wilcock mentions one notable, Nobel Prize-winning scientist, Dr. Luc Montagnier. Dr. Montagnier is well-known for proving the fact that DNA molecules can be formed with nothing more than sterilized, hermetically sealed water, and an electrical current. Here is an excerpt from an earlier article I wrote on the topics from this year's Conscious Life Expo which includes the work of Dr. Montagnier. Considering how this Nobel Prize-winning scientist proved that water can be used to create DNA, this sheds new light on the likelihood that any planet with water, and some version of a Schumann resonance will likely have life on it in some form. Let's add another piece to this disclosure-puzzle. On the same day as these other two disclosures came forward, we have another financial revelation come to the forefront of mainstream media. This is the fact that bitcoin seems to be doing well in Argentina. is the perfect place to experiment with a new digital currency. David Wilcock observes the fact that the New York Times is showing greater and greater signs that it is working more for the Alliance. This is a large, corporately-owned publisher, and yet it is publishing information which is in direct opposition to reign of the all-mighty dollar. I find this of particular interest as well. As the tagline states, this is an experimental trial-run to see how this currency fairs in this South American setting. David Wilcock reveals the intelligence which he received that bitcoin was actually invented to replace the dollar in the case that the dollar were to crash. This is not to say that it is completely stable or that anyone should run out and buy a billion in bitcoin. It's just one option which is being tested at the moment. This is a digital currency which reportedly holds its value in the fact that there are a finite number of codes, and requires a large number of supercomputers to create the currency. The way which value and scarcity are built into this currency is that there are only a certain number of codes which these supercomputers can create. Once the code runs down, no more bitcoin can be created. 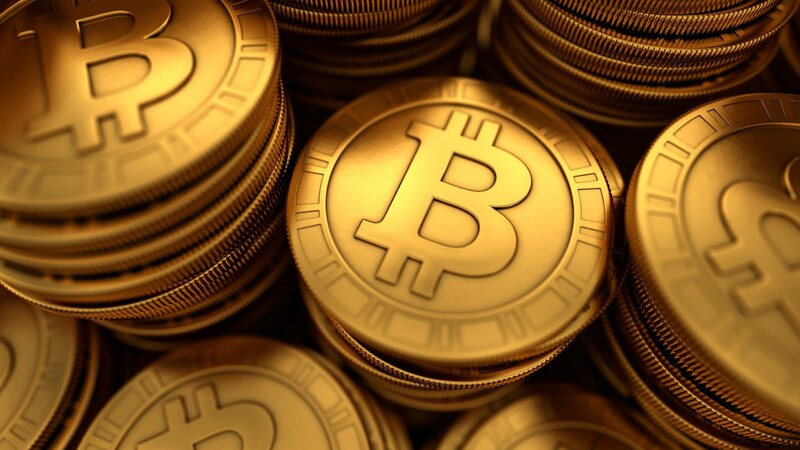 At which point, those operating the system will most likely create another version of bitcoin. Again, this is no guarantee and I would advise that anyone who is still attempting to invest to use their own best judgment. Another interesting revelation within this episode was the fact that so few young people trust the corporate media. During this time last year, it was reported by numerous media outlets that the number of young people who frequented the media were extremely low. Here is the Washington Examiner with the story. The media limps in dead last among institutions younger voters trust to "do the right thing," according to a new and massive Harvard University survey. In the school's Institute of Politics poll of over 3,000 18-29-year-olds, a tiny 12 percent said they believe the do the right thing. A whopping 88 percent said "sometimes" or "never." Just 2 percent said they trusted the media to do the right thing "all of the time," and 39 percent said "never." I would say this is pretty revealing of the impression the media has given of its own reliability. Here the cabal has done so much work in preparing this underhanded feast of half-truths, but hardly anyone is coming to the table. I have said repeatedly that they have over-estimated the gullibility of the general public. The hard fact is that many of us are hungry for information. We just don't like the taste of hogwash. There is one specific story on another subject which was interesting to see, as specially from a mainstream source such as NBC News. However, this did not strike me as mainstream information by any means. Here it this article, prefaced by the video of interest. Did you see those mysterious lights southwest of San Diego on Tuesday night? A viewer sent us several photos he took, capturing a string of multicolored lights in the sky above San Diego. The viewer, Larry Fox, said the lights that appeared to be red, blue and green kept flashing and changing colors from his vantage point in Del Cerro. "It looked like a strobe light," he said. Fox said he was out in his backyard when he saw the strange lights southwest of the Coronado Bridge. He didn't think it was a plane or even a drone because it was stationary. "It was a series of flashing lights," he said. "If it was a plane, it would have moved." A NBC 7 reporter and photographer also spotted the strange lights from San Ysidro as they were covering an unrelated story on Tuesday night. A number of folks also called us here at NBC 7, reporting the same thing. Later, an NBC 7 news photographer returned to the same location during daylight hours and noticed the lights were coming from a mountaintop where there were TV antennas. To those who paid close attention to this story, you may have noticed the fact that NBC goes through the trouble of reporting all of these interesting facts about this sighting. They post a video, interview multiple witnesses, they reference contacting military information, and wrote an entire story, yet at the end of the article, they seem to suggest that all that work was for nothing more than to report the lights from TV antennae. Does that make sense to you? If these lights were TV antennae, wouldn't this professional TV station be confessing to wasting their own time and embarrassing themselves? I would say so. According to intelligence, these were not television antennae. This was an actual sighting of a ship which was part of the cabal side of the Secret Space Program (specifically one from the Dark Fleet). According to Corey Goode, these people are staging this siting deliberately, and as Wilcock states, they are setting themselves up for their own version of partial disclosure. As we have heard in previous episodes, these cabalists don't know what else to do. 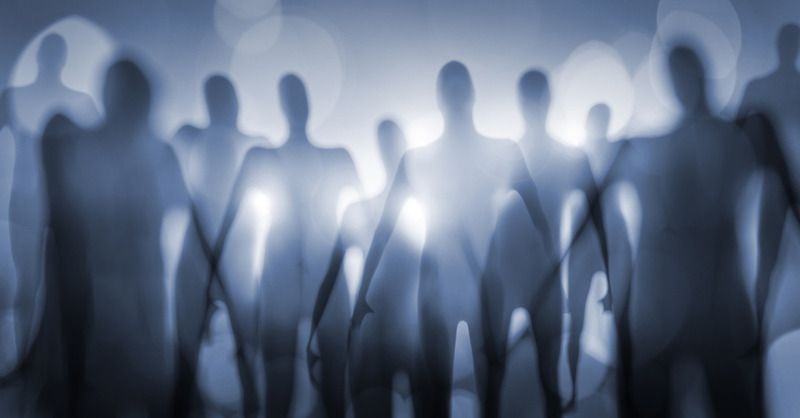 They gave up on their partial disclosure performance, but it seems that they feel they have to do something. Otherwise their image will be ruined. Of course, we know it's already too late for that. When you treat the planet like a toy, and the human race like on big tool, that tends to dull the luster of such a group, no matter how many cool toys they have. This next article was by far the crown jewel of this episode. It was a good idea to save this one for last, in my view. I could say more, but I will let you see the significance of this excerpt for yourself. This was a NASA release covered by the UK publication, The Independent. NASA might have successfully tested a warp drive that could carry people approaching. The agency has built an electromagnetic (EM) drive, using technology that shouldn’t be possible in current understanding of physics, according to users on forum NASASpaceFlight.com. Some of those discussing the plan claim to be Nasa engineers that are currently working on the plan — and have been verified as such, according to Cnet. While the technology behind EM drives has been demonstrated before, the results have been disputed by some who don’t believe that it could work. But a controlled demonstration in conditions like those in space could be enough to begin the work to prove that the project could be used in practice. The device works by propelling objects through space by using magnets to create microwaves, which are then sent through a device to create thrust. If it works, it could overcome the need to carry fuel for propulsion — a huge problem that limits the speed and distance that those journeying in space can travel. To work, the spacecraft that carried it would need to carry a nuclear power plant to create the energy required to travel through space. But if scientists were able to develop such technology, it could eventually lead to ships that can move at almost 10 per cent of the speed of light — far faster than any object controlled by humans has ever gone before. That means that a piloted ship could get to Alpha Centauri, a bright star 1.34 parsecs from us, in only 92 years. Nasa's official site says that: "There are many 'absurd' theories that have become reality over the years of scientific research." 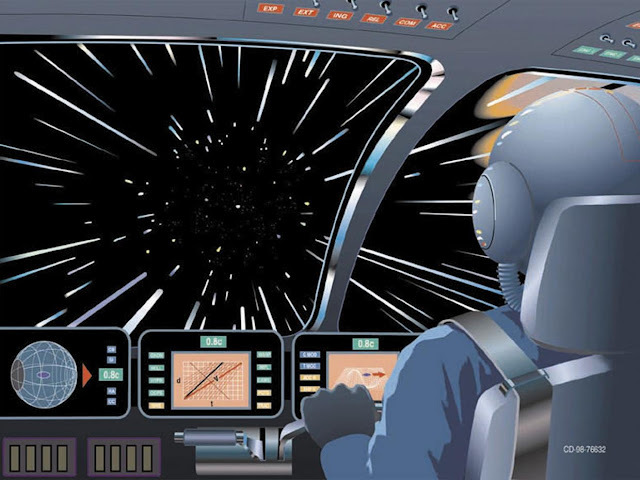 "But for the near future, warp drive remains a dream," it writes in a post updated last month. According to the forum users, the technology has been tested at the Johnson Space Center. 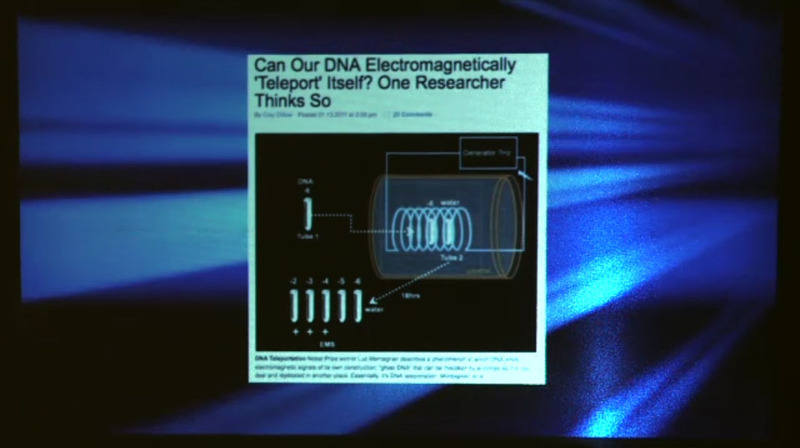 In 2014, Nasa verified that the claims of Roger Shawyer, who invented the technology, did seem to be true. But those tests took place using low power and not in the kinds of space-like environment that the new testing seems to have been done in. So, NASA has a warp drive, and they call it a "WARP DRIVE". Do you folks realize what this means? This means that they have revealed the fact of what SSP whistle-blowers such as Dr. Michael Salla and Corey Goode have been saying since we first saw them. NASA is coming out and telling the truth. Even though there is likely much more to learn, this is basically their unveiling of their space-travel technology. David Wilcock has been making the point that the cabal has been doing everything they can to push there own version of disclosure out to the public, and this seems to be very true. I believe we should keep the point in mind that there are many factions of the cabal at this point. Some of them are ready to surrender, while others just can't seem to let go of their age-old game. This endless display of slight-of-hand tactics and double-sided half-truths has left the public with so many mental loose ends that the task of tying them all off may seem a little bit much to handle. (...Metaphors.) However, this is completely doable. So now, we have a scientifically verified, “50/50” chance of finding life out there and the warp engine to take us there. ...And where is all of the rhetoric of “we're alone in the universe”? It's nowhere to be found, that's where. Such talk is an ancient memory with regard to the official stance. It honestly boggles my mind how quickly such an illogical stance could last for so long while being called “scientific”, and then suddenly disappear from all existence (though I'm not at all complaining). Late during this week—in fact, the night before I am finishing this article—the source Cobra released some intelligence on his knowledge of the Earth Alliance and where things stand with regard to the surrender of the cabal. As far as negotiations are concerned, much of the cabal is on their way to complete surrender, and have been presented the terms for their surrender. However, there are still a few hold-outs who seem to want to fight until the bitter end. It is my belief that we are well on our way to an inevitable victory, and it seems that all we need to do is to push forward for Full Disclosure and to hold the most positive intent imaginable. This has been quite a wild ride. This corporate media script may have only been on the subject of partial disclosure, but even still, it has been eye-opening. We have quite a bit to consider with the thought of each of these revelations, though many are likely to be half-truths. With these thoughts, let's consider the need for full disclosure. Considering as much as we as a planet have been through, it is not at all a pleasant thought that we could experience more of this if we do not act, and act now. The partial-disclosure train may be rolling out, but this does not at all stop us from acknowledging the fact that there is more to learn and more to be unveiled. This circus does not change without our action, and will only do so when we step up. We have in our power to create anything we could possibly imagine, and more. What this is, and when this happens is up to each of us. Due to our continued efforts, we have reached this critical point, where the potential of the planet is ultimately positive, though the specific flavor of that positive energy has yet to be determined. It is my view that this direction should be the for the greatest good for all of us (except for the cabal holdouts who insist upon persisting). This world is ours to create and ours to remake. 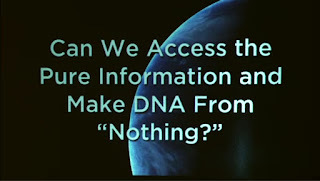 Full disclosure is on the horizon, and as we progress and demand change, we come ever closer to the revelation and breakthrough we have all desired since we awoke. This is our time. Let's make the most of it. We need to stop including N.A.S.A. (Never A Straight Answer) in our search for life beyond Earth. They are clearly a part of the soft/partial disclosure narrative and will never come clean. E.T. life is in abundance all around us, on this planet, in this planet and in our solar system. In truth, we have NEVER been alone on this Earth. 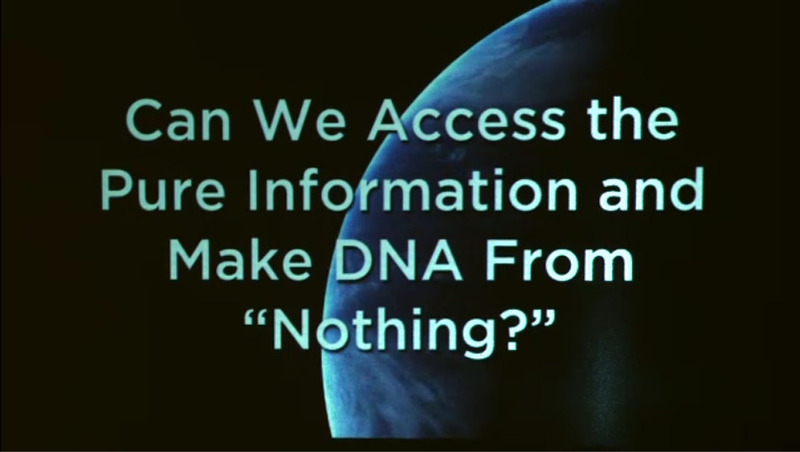 When full disclosure happens, E.T's will reveal themselves to us and say, "We have been here all along. You were never alone." So, instead of having a long story about what N.A.S.A. is saying, we should be pushing hard for full disclosure now and get facts out to the public by any media outlets necessary to do so. We cannot EVER rely on any type of Governmental department coming forward with the full Truth and nothing but the Truth. We the people of earth must find out the Truth though our own verifiable sources. Remember, The Truth will not come from the same people that hid the Truth from us for many centuries full of lies and deceit. I would say that even though different official sources give us incomplete information, that doesn't necessarily mean it's worthless. Official sources give us a starting point and a foundation of information upon which we can build, despite the likelihood that they are half-truths. That is why we add alternative sources as well. Those who worked within black-ops and became whistle-blowers coined the alternative acronym "Never a Straight Answer" because they knew from experience that there was more to the story. It seems the acronym has now become popularized.